A great customer experience is our driving passion. Firefly & Lilies gives you a different shopping experience. This is a topic that is so very close to my heart and soul. This is a huge reason that I started my store. 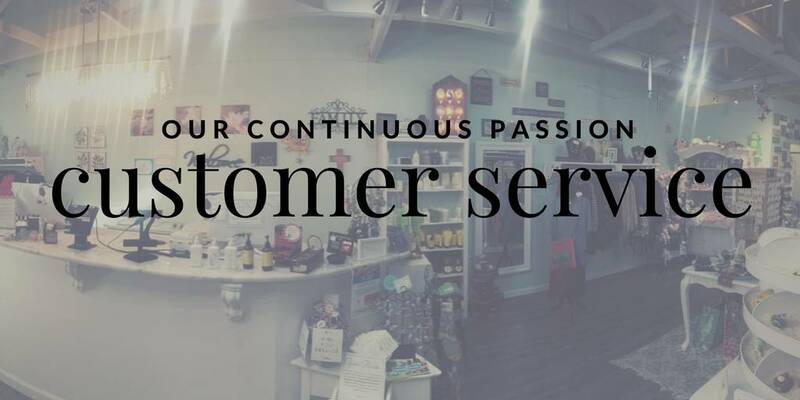 I have been on the wholesale side of retail for over 20 years helping store owners buy products for their stores, merchandise, plan and market for their businesses. During those two decades in retail, there has been so much change from the way we purchase and think and the customer service level of stores. We have become accustomed to quick, fast, now, ordering online and little interaction with others. Many smaller stores have struggled through the years to keep up and to change with the ever growing internet and have lost heart, or gone out of business. Even though you can find anything you want fast now and get so much accomplished in a short time. We as humans still want to connect and feel connection—the urge to shop and to fill part of our human nature isn’t satisfied. I felt compelled to open a store that would give you a different experience through our customer service. From the moment you walk into our doors we work hard to “wow” you and make you feel special. You are greeted warmly, offered coffee, water etc. I work had to train my staff to personally care deeply for each person that walks in. Once you have chosen your purchases, you are warmly assisted in the checkout, and perhaps even given a gift for being a loyal customer. Your purchase, whether it is for you or a gift is beautifully wrapped with a bow on top so that every step in the process says you are special and you matter! This is the part of shopping that has long been missing in our crazy fast pace world. I believe we all want to connect, relax, shop where we not only find amazing items for ourselves and loved ones, but where we walk away with feelings of fulfillment, connection, relaxation. This is how I feel customer service should be and what we strive for everyday to wow you with at Firefly & Lilies.